In an exciting new series of reviews at KBR, we will present a range of enlightening, educational, current and inspirational YA Non-Fiction titles. 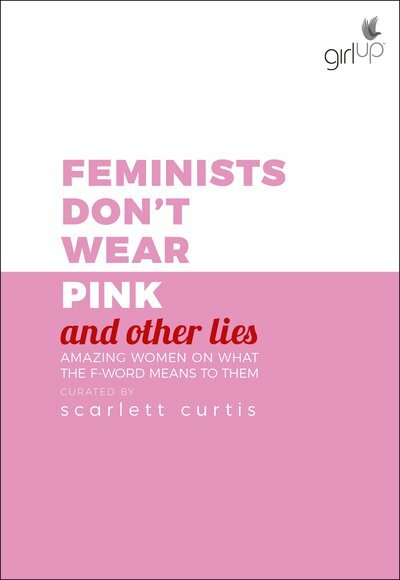 What better way to begin than the newly-released Feminists Don't Wear Pink and Other Lies, curated by journalist and activist Scarlett Curtis, and published in partnership with Girl Up, a campaign of the United Nations Foundation. 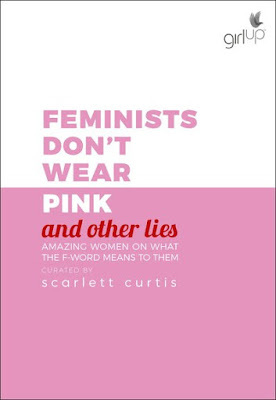 As stated by Curtis, this is not a Feminist textbook or handbook, but a book of feelings that are transforming into thoughts that are transforming into action. The inspirational women who have contributed an essay of their thoughts on Feminism are form a wide range of countries, backgrounds, nationalities and socio-economic status. They are authors, social activists, actors, singers, journalists, physicians, lawyers, radio personalities, businesswomen, comedians. They are all strong, determined females who are encouraging gender equality. Their thoughts and views are honest, funny, diverse, inclusive, powerful and collaborative. I was impressed with their drive and success at facing adversity and overcoming it. I had a moment where I thought I could be doing more and then read Jordan Hewson's essay (Bono's daughter) who also felt this way after Malala Yousafzai was shot by the Taliban (in 2012) and started Action Button, a software product to encourage people to turn thoughts into action, in real time. Or Keira Knightley's powerful piece, and Emtithal Mahmoud's, a renowned activist advocating to end violence in Darfur. All their words and experiences strongly resonated and stayed with me long after I closed this book. There are dozens more inspirational and influential women in this book who have achieved and continue to achieve phenomenal things. I recommend this book and others like this to inspire not just teenage girls but everyone.